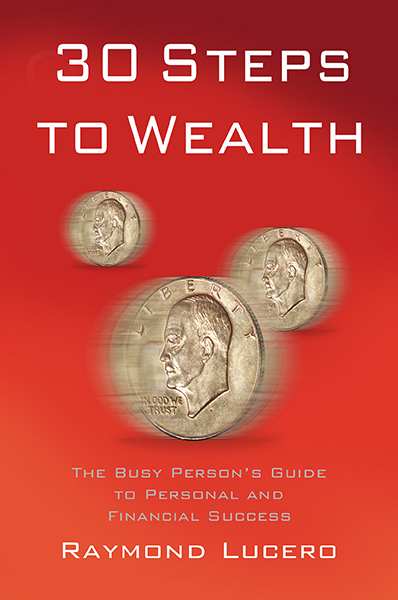 First, meditate and ask if there’s any reason why you SHOULDN’T be wealthy. Ask yourself if there’s a reason why you should suffer and stay unsuccessful despite how hard you work or how much good you do in the world. If you think about it well enough, there shouldn’t be a good reason why you should suffer. Even if you’ve made mistakes in the past, you also deserve to be forgiven and you are indeed allowed to move on and do better in the future. Since Catherine Ponder is a church minister, she tells you to ask yourself this question. Is there a reason why God, who wants the best for all his children and who wants everyone to live well, would want you to be poor? There shouldn’t be. God wants us all to lead happy lives, and we shouldn’t go against it simply because we’ve been programmed by society to think that we “deserve” to be underachievers or that we deserve to suffer for some reason or another. Imagine in detail the kind of life you wish to have. How much do you want to earn? What kind of house do you want to live in? What does “success” mean to you? The more you think about it, the more detailed your dream should be. Jack Canfield discussed this in his book, The Success Principles. Instead of just drifting along through life, we should visualize what success means and then work to achieve it. We can hit a target only if we create or designate one after all. Imagine the kind of success that you REALLY want, not what others want for you. How many kids unwillingly become doctors or lawyers or engineers simply because their parents wanted them to? How many of them, when they do get their degrees and jobs, continue their lives feeling terrible, trapped, and unhappy because having those careers are not what they TRULY wanted in life? You need to get away from that suffocating pressure and think about what you really want to achieve in life. There is a way to become successful and happy doing what you love, and the key is in finding out HOW. Don’t tell your dreams to others. Some people love to bring others down. They might say your dream is “impossible” or “impractical” because they care for you and they don’t want you to get hurt by failure… but in reality all they’re doing is discouraging you from achieving your dreams. They may be right, but would you risk losing your chance of going for your dreams? You’ll always have a shot, but remember that like what Michael Jordan said, you fail 100% of the shots you DON’T take. Take some definite steps toward your dreams. We know dreams don’t come true overnight, but they can and they DO come true eventually IF we take some steps and work for them. For example, the road to earning ten million dollars can start with saving a dollar in the bank, or a hundred, or a thousand, and then continuing to save that much over time. It can also start by planning to ask your boss for a raise, thinking about changing to a better-paying job, writing a business plan, or something else. Don’t be anxious, angry, or upset if things don’t happen immediately. Again, dreams don’t always happen overnight. The more we get angry or anxious at not achieving them, the worse it will be for us. Aside from neutralizing our enthusiasm for our goals and dreams, it can also lead us to make mistakes. After all, how many of us fall for scams or make bad business decisions simply because we want to make some “easy money”? Ignore other people’s negative opinions. This may sound like a repeat of the fourth step, but it isn’t. Inevitably, as you actually work towards achieving your goals and dreams, people will unjustly criticize you. Don’t let them get to you. Just because they can’t do it, that doesn’t mean that YOU can’t either. You’re the only one who can achieve what you want to achieve after all. Dreams come true mentally before they become a reality. Henry Ford once said that whether you think you can achieve something or you think you CAN’T achieve something, either way you will be right. Dreams come true in your mind before they come true in your life. After all, every great artwork was a mental picture before it exists on the canvas, and the same is true for dream careers, businesses, inventions, and more. Remember that if others could do it, then so can you. Another chapter in Canfield’s book, The Success Principles, is called “Success Leaves Clues”. If there’s something that needs to be done, somebody has most likely already done it. Want to get good at golf? Learn from a professional golfer. Want to get good at investing in stocks? Learn from professionals like Warren Buffett or his instructor, Benjamin Graham, author of The Intelligent Investor. Want to get good at handling money wisely? Learn from personal finance experts like Robert Kiyosaki, author of Rich Dad, Poor Dad or David Bach, author of The Automatic Millionaire. Like following the instructions of a mountain guide to reach the summit, you can achieve something similar if you follow what experts and professionals teach. It’s how people become lawyers, doctors, and engineers among others after all. They learn from what other people discovered. Remember that all great things already exist in the realm of possibility. “It’s always impossible until it’s done”, said Nelson Mandela, the anti-apartheid revolutionary turned president of South Africa in 1994-1999. When you think of how humanity has advanced, you see that there is a lot of truth to those words. It used to be impossible for humans to fly until someone invented the airplane, and it used to be impossible to reach the moon, until we sent astronauts there in 1969. Again, things like wealth and success might seem impossible until we actually achieve them. We can increase our chances by learning from experts who have already done what we want to achieve, but ultimately we have to carve our own path. The exact steps that worked for them might not work for us, but if we follow the general direction, we’ll likely get to where we want to go. 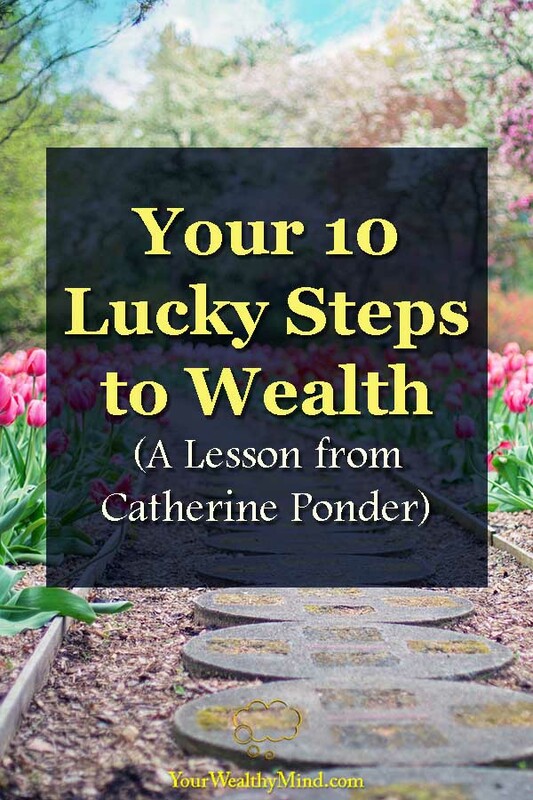 And there you have it, Catherine Ponder’s ten lucky steps to wealth. By the way, why do you think they are called “lucky” steps? In my opinion, it’s not because they actually improve your luck. It’s mostly because they improve your chances of succeeding at what you want, like how teamwork and how making more attempts at shooting the ball can increase your chances of winning a basketball game. If they can improve our probabilities of achieving success, then why don’t we try them out, right? In any case, I hope you enjoyed this lesson. If you want to learn more, just check out our other articles below or on this link!